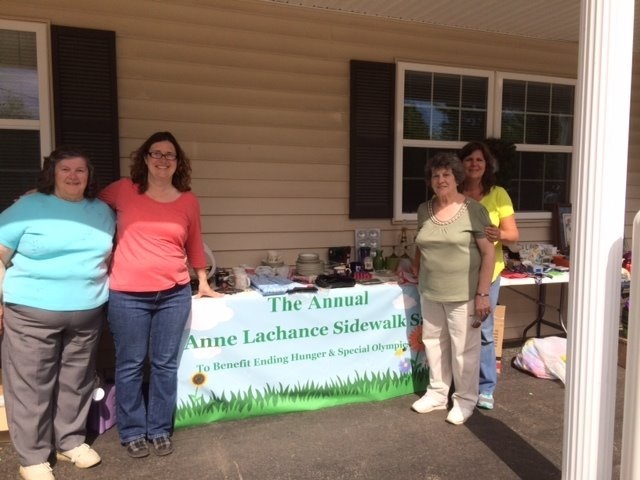 Our Annual Anne Lachance Sidewalk Sale will be held June 2nd and June 3rd. This event was started in 2007 by one of our favorite past employees, Anne Lachance, and we carry on the tradition in her memory. Since the start of the yard sale event we have raised more than $6,000.00 for Ending Hunger and Special Olympics with this fundraiser alone. If you are interested in donating to this event we will gladly accept gently used household items, children’s toys, outside items etc. Please no clothes or bedding. Please bring your family or friends to shop this event! Thank you for your continued support in all our events, but especially this one which is close to all our hearts.